There’s a variety of fish that came up this week. 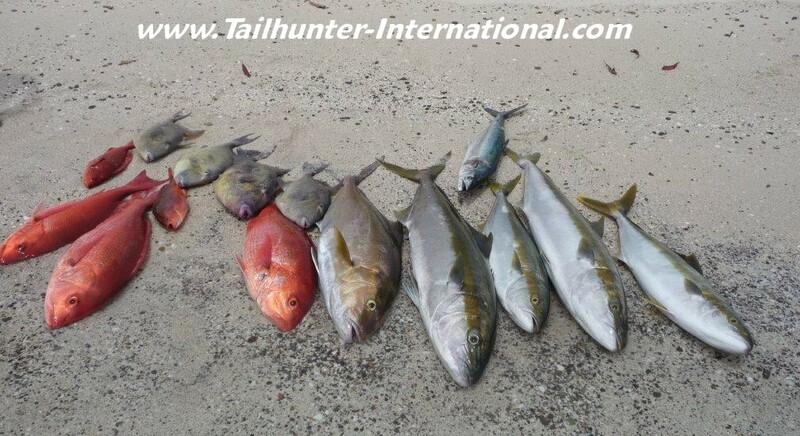 Red snapper…yellowtail…sierra…and yes triggerfish. All great eating fish. 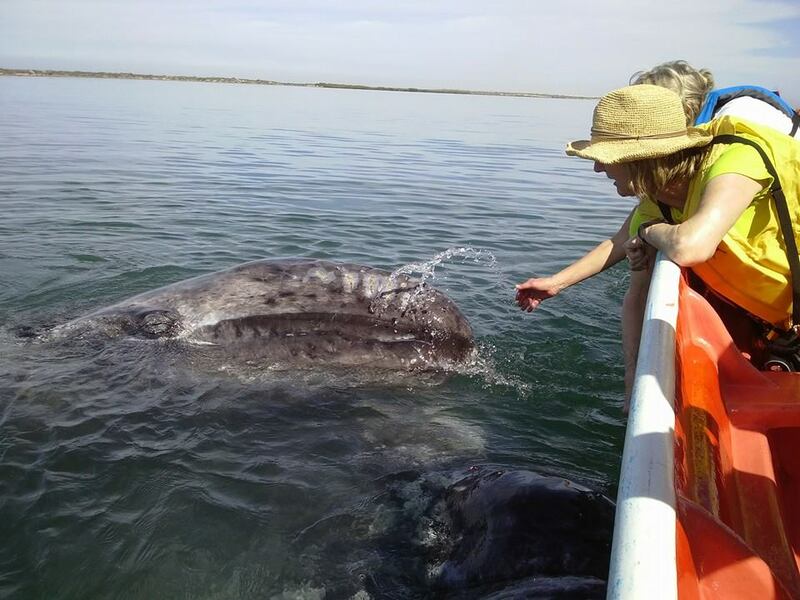 Our whaelwatching tours are in full swing and the whales are being incredibly cooperative! Kevin Kennedy and his group got the full experience in the calm waters of Mag Bay. Not sure how much longer these amazing animals will be here, but normally, they’re around until mid-March or so! Contact us and we’ll set you up! 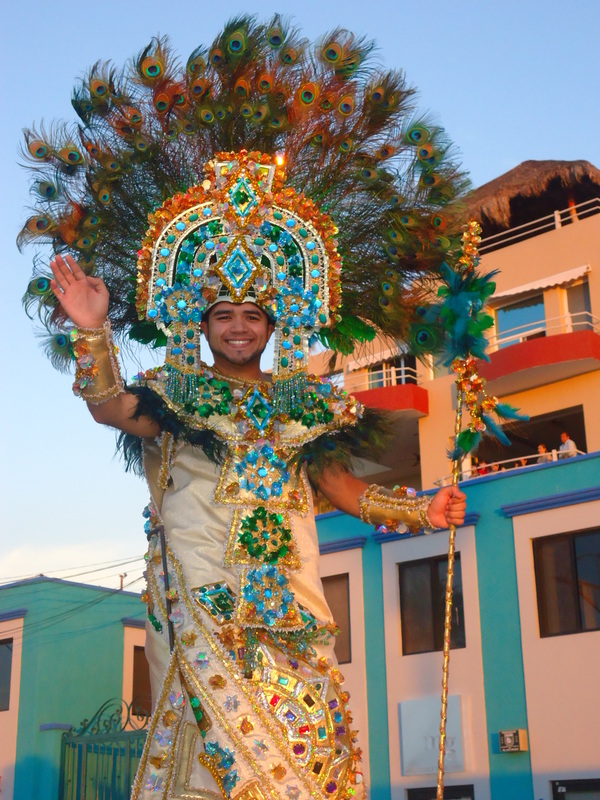 We say good-bye to a fantastic La Paz Carnaval . 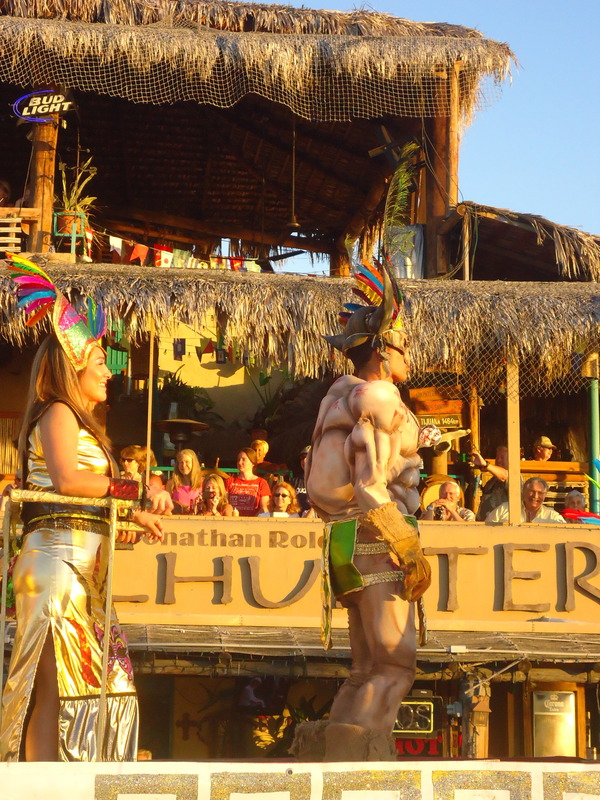 Many watched the parades from our Tailhunter Restaurant and had a great time. 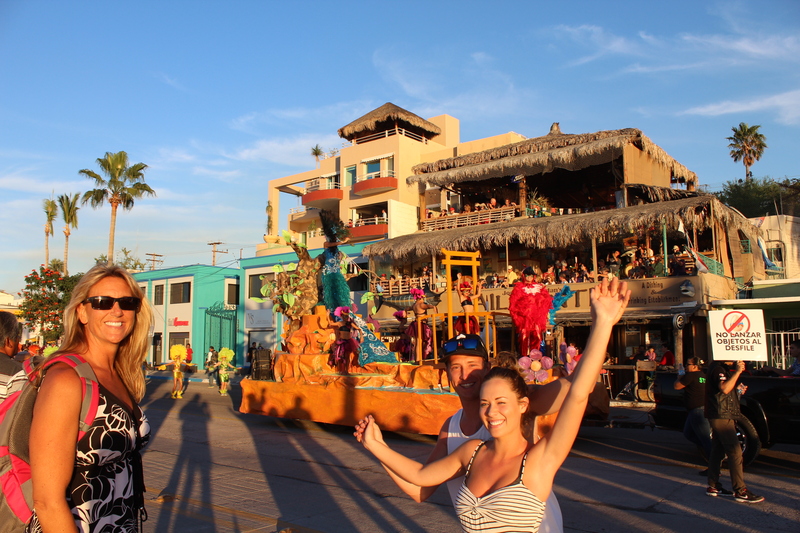 Amy, Nicole and Kody Kasper enjoying one of Carnval parades in front of our Taihunter Restaurant on the malecon waterfront. OK WEATHER GOES WITH OK FISHING! Good week for weather and fishing this past week…relatively speaking! I mean, it’s still winter so there were some breezy days, but compared to other weeks, the conditions were much more fishable and given that many of the folks in town are snow birds just wanting to get warm (especially those trying to thaw out from the east coast of the U.S, not too many folks are complaining about 83 degree days. The fishing was predictable. With good weather, we’re able to get into more species and more variety to the fishing as well. Among the larger species, some yellowtail popped up off Cerralvo Island including some nicer grades of fish in the 20-30 pound class. Some nice horses. Bait hasn’t been good as far as the mackerel are concerned which is what the yellows really charge, but using iron and heavier jigs (of course losing stuff in the rocks), scrambled egg and blue/white patterns produced fish. Also slow trolling mackerel-patterned crank baits like the bigger Rapala xRap 20’s and Yo-Zuri’s in blue and grey got hits as well. Also, given it’s only February, I was nicely surprised by the rooster fish we got this week. Nothing big but fun-sized 5-10 pounders are great on light tackle, especially so close to shore. Normally, we tend to see these fish about a month later. Same with the dorado. Again, nothing gigantic, but good-sating sized 6-12 pound “doraditos” again made for some good light tackle action. Just like the roosters, I wouldn’t expect the mahi to be in so early in the year. More typical were the other species we caught. Especially, the inshore types. This included snapper and pargo, some decent 10-pound cabrilla and sierra along some of the beach drop offs. The coming week’s weather is looking pretty good so hopefully better fishing reports next week. Truthfully, this time of the year, there aren’t that many fishermen in town, but everyone is hooking up and getting good variety. WHAT A WEEK ON THE ROAD! Jilly is all smiles in the Yakima booth! Once again…had a BLAST rocking the booth in the Phoenix University Football Stadium. Hard to believe the Super Bowl was played there two weeks ago! Due to scheduling, Jill and I split up this week on our Tailhunter show tour. Jill went up to Yakima, Washington for the Central Washington Sportsmans Show. 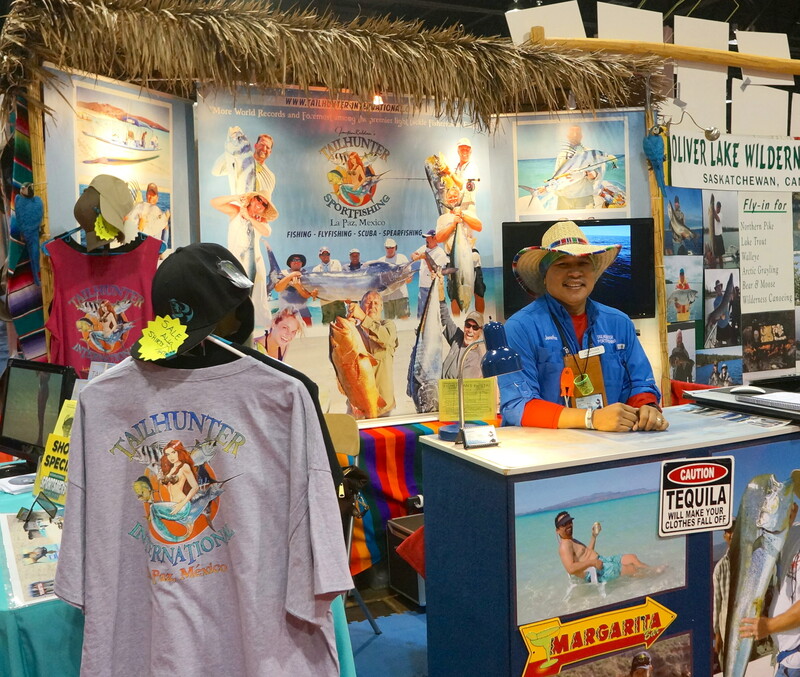 I was further south at the International Sportsman Show in Phoenix. We both had a great week and it was great seeing so many new and old amigos! Thanks to everyone for coming and visiting us and for those of you who booked trips to come see us this year in La Paz, we’re looking forward to seeing you again later this year! 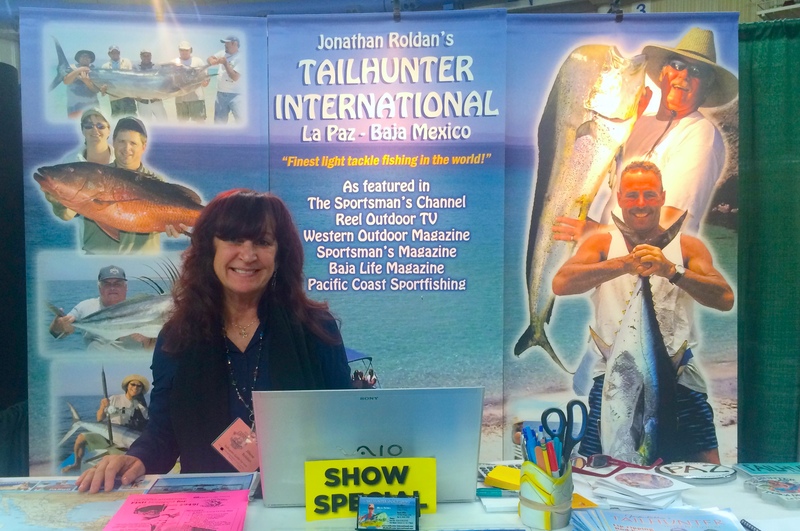 We now move off to Southern California to set up for the massive Long Beach Fred Hall Fishing and Hunting Show at the Long Beach Convention Center March 4-8. Once again, we split up! Jill goes north to the Idaho Sportman’s Show at the fairgrounds in Boise, Idaho! If you’re going to be anywhere near these venues come out to see us and say hi! That’s our story. Have a great week!